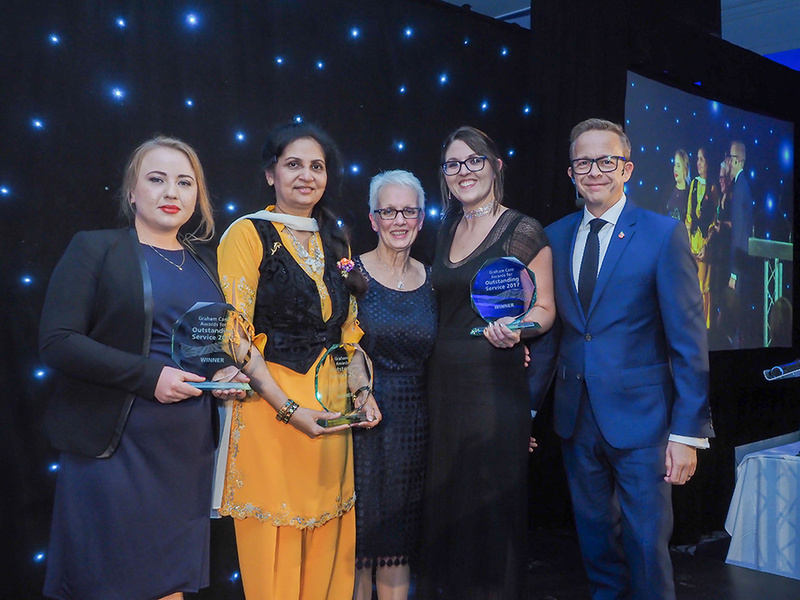 Graham Care Awards were created to celebrate the achievements of those members of staff who are helping transform the lives of people with dementia and physical frailty. Three staff members from our home are nominated by residents, their relatives and friends who have seen for themselves the outstanding qualities these individuals bring to the care and support of their loved ones. You can see videos and photos from previous years’ Awards ceremonies by clicking on the relevant date: 2016, 2015, 2014.